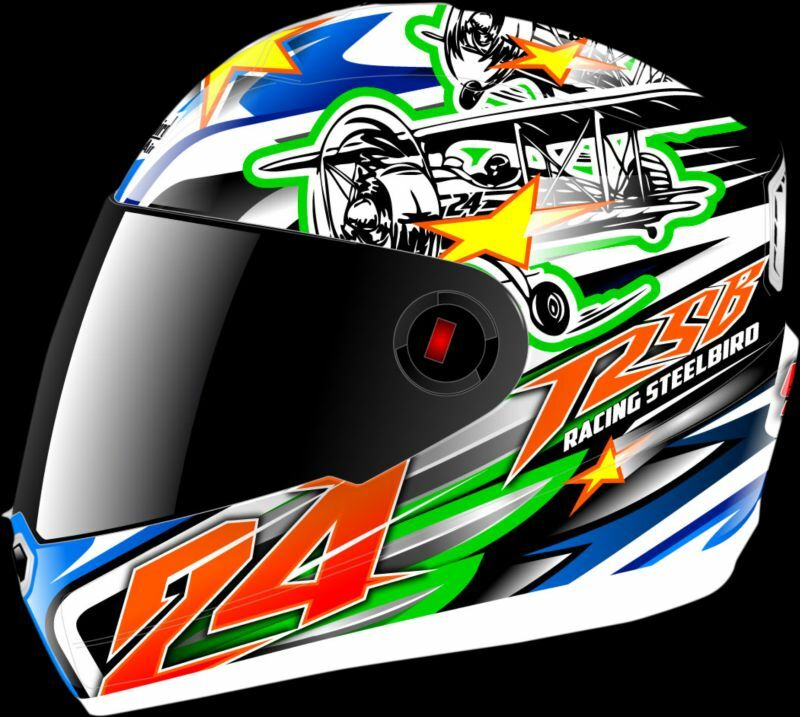 Steelbird Hi-Tech India limited, Asia’s largest helmet manufacturer, has announced that the graphics on their successful Air series of helmets will now be designed by Italy’s Bargy Design. Bargy Design was founded in 1987 by ex-MX rider Fabio Castiglioni, and the company has designed helmets for several top-level motorcycle racers including Max Biaggi, Loris Capirossi and Andrea Dovizioso, and they have also worked with Honda, Yamaha, MV Agusta and Ducati. Shailendra Jain, Global Group Head of Sales and Marketing at Steelbird said, “Steelbird is constantly upgrading and in sync with the international standard and design. We are proud to add a whole new range by adding designer variants to the existing Air series, therefore expanding the option horizon for the riders. While committing to meet the protection needs we are now laying emphasis on the style as it is meant for the youth. With our tie up and the launch of the designer range our motive is to cover complete business pyramid that is mass customer to premium customer. The pricing of the designer range will start from Rs 2,499”. This competitive pricing for Italian-designed helmets with proven safety features, great ventilation and dual density EPS liners seems too good to be true, and should assure Steelbird’s continued growth in the helmet market.